Across the world famous Golden Gate Bridge from San Francisco is the North Bay city of Larkspur. A beautiful waterfront town known for its exquisite views, proximity to San Francisco and incredible natural setting, Larkspur is a classic Bay Area destination. Downtown Larkspur is prime location for delectable Northern California cuisine with many restaurants focusing on local organic produce. With Mt. Tamalpais in the background and the beautiful Marin Headlands in the foreground Larkspur is surrounded by natural beauty unbeatable in the Northern Bay Area. Residents and visitors alike can walk on any Larkspur street and will be in awe of the surrounding area especially on one of the many sunny days throughout the year. This exclusive enclave is home to a wide range of shopping and eating destinations making it a favorite destination for residents of surrounding towns. 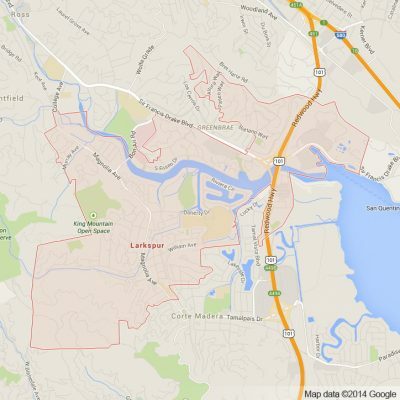 At Apex Transportation we are now offering our wide range of luxury transportation services to and within Larkspur. For those exploring what the Bay Area has to offer outside of it’s main metropolitan hubs, Larkspur is a must see destination. It’s calm and serene surroundings make it a perfect day trip from anywhere in the Bay Area. Our comprehensive luxury limousine transportation services are perfect for weddings, junior/senior prom and Wine Country Tours. At Apex limousine and sedan transportation we work directly with wedding planners, brides, grooms and families to ensure that our limo services will meet the needs for you on your wedding day. Larkspur is home to many incredible wedding venues and natural settings thereby making it a perfect wedding destination. Our fleet of vehicles and professional limo drivers are favorite for those who organize their weddings in this prestigious North Bay enclave. For local students who’s proms take them to San Francisco and beyond, Apex is consistently a favorite for parents and students alike. We are also Larkspur’s premier Wine Country and Napa Valley Winery Tour limousine provider. Our knowledgeable staff regularly take those who want to explore Northern California’s best wineries in one of our many luxury sedans, SUVs and Limousines. We are a unique limo company because we are committed to those we serve. We maintain a good reputation in Larkspur for our consistency in excellent service and professionalism. Our limo drivers are timely and professional whether you are working with us for a night out on the town in Larkspur or you need a timely pick up or drop off at one of the Bay Area’s major airports – OAK, SFO and SJC. Apex promises that when you ride with us you are not just going to and from a destination but you are experiencing Larkspur’s finest luxury limousine transportation service. We guarantee you will not regret our time spent together for we are committed to making you have a memorable ride every single time. Please call us for car service all inclusive total for Larkspur to/from Napa Valley transfer.